Providing cash flow solutions to businesses in El Paso, Hobbs & Carlsbad, Pecos and New Mexico. Riviera Finance is an invoice factoring company providing the following services for companies in El Paso, Hobbs & Carlsbad, Pecos, Texas and all cities throughout New Mexico. This business owner had previously been a driver for another water hauling company. He decided to branch out and begin his own company, starting with one truck, and now owns four. 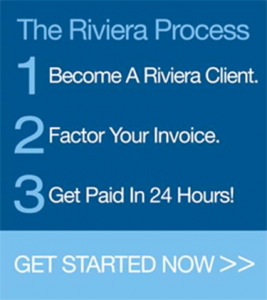 He was referred to Riviera because of his need for improved cash flow in order to cover business expenses. The bilingual staff at Riviera’s El Paso office was able to provide this Spanish-speaking business owner with our usual excellent customer service in Spanish. Type Of Business: Trucking Co. This company, referred to Riviera by a former satisfied client, first contacted us when they were applying for their trucking authority. By the time they were ready to start hauling, they had a list of approved customers to begin working with. Now they have more than doubled in volume and they are still growing rapidly.